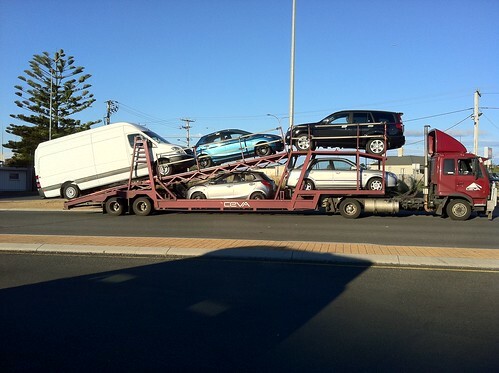 Mini Artics, or semi-trailers as we say in Australia, as a general rule are limited by the GCM (GTW, GCW) of the prime-mover (tractor). Of course there are exceptions to every rule and there may be factors that prevent the GCM being achieved. Examples of limiting factors could be an inadequate hitch/tow bar/turntable capacity, insufficient trailer axle load capacity, insufficient trailer braking capacity or just that the trailer has an insufficient ATM (aggregate trailer mass). I guess the first thing to consider when setting up a mini semi-trailer is whether the GVM of the prime-mover will be exceeded when the combination is loaded. That is, will the combined axle loads at the ground exceed the GVM of the prime mover. The second consideration is do the trailer axles have enough load carrying/braking capacity to cater for the remainder of the combinations weight. These principals are of course the same for any type of combination, from a motor bike towing a trailer to a road train, but the mini prime-mover generally runs much closer to max. GCM than some other combinations. For example most single steer tandem drive prime-movers have GCM ratings of 70 + tonnes in Australia, but if only operating with a single trailer can only have a combined allowable weight of around 45 tonnes. The limiting factor is the local road rules. Where as with a single trailer it is very easy to load a mini semitrailer to its GCM with a fairly light trailer. So, vertical load trailer exerted on the turntable can’t be greater than 6400kgs (10400 – 4000) so the prime-mover is not overloaded. My turntable, trailer axles and trailer ATM cannot be exceeded by loading the combination to its GCM, therefore my payload is 9800kgs (20000 – 4000 – 6200). The replacement of my prime-mover is imminent and the new vehicle will have a GCM of 22000kgs. The same trailer will be used, the new truck carries more fuel and has some additional equipment so tare weight will increase to approx. 4500kgs though its GVM remains at 10400kgs. Once again the turntable, trailer axles and ATM don’t hinder the load capacity in any way. So, this time the vertical load on the turntable can’t exceed 5900kgs (10400 – 4500) and overall payload is 11300kgs (22000 – 4500 – 6200). As you can see from the two scenarios above, care must be taken when positioning the load on the trailer as to not throw too much weight forward onto the prime-mover. So now you know!! Hopefully Julian will keep us updated with stories, info and any thing else the Australian trucking industry can chuck at us. We all love Roadtrains, but once again anything the biggun’s can do, the little Tonka toys will be following right behind. So not only are mini artics regularly crossing Europe in all directions, but also Australia. Brilliant. I have photos of Julians new truck, they will be coming soon. 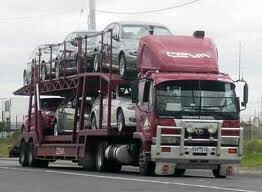 Also a another good write up on the troubles of speccing a mini tractor unit in Oz. 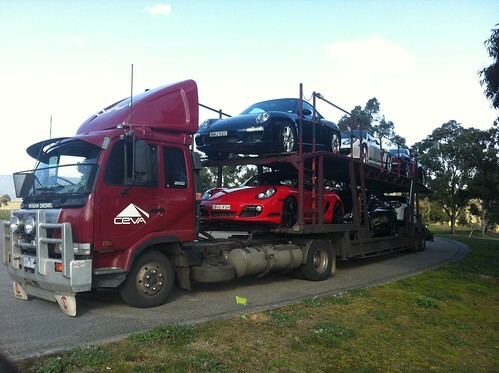 This entry was posted in Australia, Drivers Photos, Guest Writers, International Mega Trucking, Mini Artics, Roving Reporter! by truckbloguk. Bookmark the permalink.